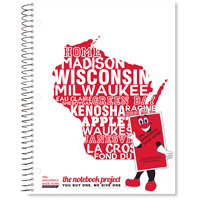 100 sheets of white paper in a 1 subject notebook format that measures 11″ X 8.5″. 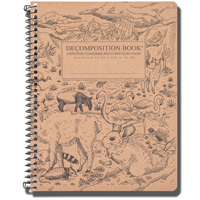 150 sheets of white paper in a 3 subject notebook format that measures 11″ X 8.5″. Pack of 100 sheets of college ruled paper. 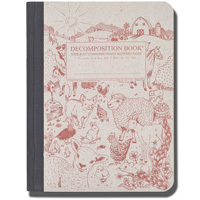 Measures 8.5″ X 5.5″. 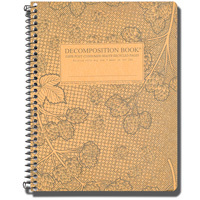 This recycled notebook, known as our Decomposition Book, is a twist on the classic spiral notebook. We've moved away from the regular materials and created something with 100% recycled, 100% post consumer waste content and an updated design.